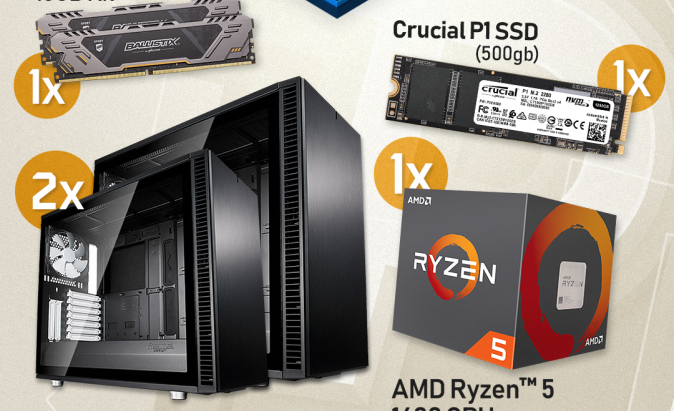 OGA Pit has teamed up with AMD, Fractal Design, Ballistix Gaming Crucial Memory and Gamersbook to gift some of their fans with amazing gaming PC parts! To enter in this Artifact PIT Gaming Giveaway grab your free entries by following few simple steps listed down below! In order to claim their prize, the Winners must respond and provide, if requested by the Promoter, any additional information necessary to facilitate prize delivery or confirm identification, within twenty (20) days of the Promoters’ email.